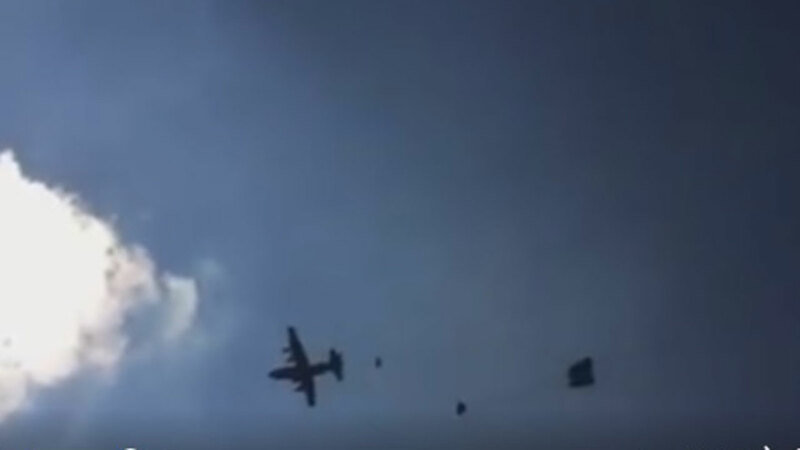 A U.S. Army airborne exercise in Germany is attracting more than a million viewers on social media after a video surfaced showing a Humvee breaking free of its rigging and plummeting to the ground, followed by another - and another. The scene starts serenely as equipment is dropped by parachute April 11 from planes with the 173rd Airborne Brigade flying across blue skies until the first Humvee breaks free and drops and someone yells out "Oh yes!" It's followed by a second, then a third and increasing laughter on the video. The Army says nobody was hurt, and it's investigating what went wrong - and who shot the video.